André Thomas, the Owen F. Sellers Professor of Music, is Director of Choral Activities and Professor of Choral Music Education at Florida State University. Eph Ehly is retired from the University of Missouri-Kansas City. After conducting more than 80 all-state choirs and over 600 ensembles, he is a highly sought-after conductor. Edith A. Copley is the Director of Choral Studies at Northern Arizona University where she leads the Shrine of the Ages Choir and teaches choral literature. Lynne Gackle is Professor of Ensembles and Associate Director of Choral Activities at Baylor University where she conducts the Baylor Bella Voce and the Baylor Concert Choir. Jeffery L. Ames serves as Director of Choral Activities at Belmont University. He is an accomplished composer, conductor, arranger, and accompanist. Pearl Shangkuan is Associate Professor of Music at Calvin College, where she directs three choirs and teaches Choral Conducting and Choral Literature. Dr. Shangkuan frequently leads performances and seminars around the world. Jerry Blackstone is the current director of choirs at the University of Michigan, and a GRAMMY® Award winning conductor for Best Choral Performance and Best Classical Album. Anton Armstrong, Tosdal Professor of Music at St. Olaf College, is a graduate of St. Olaf College and earned advanced degrees at the University of Illinois and Michigan State University. Rollo Dilworth is Professor of Music and Director of Choral Activities and Music Education at the North Park University School of Music in Chicago, Illinois. He also serves as director of the Music Institute of Chicago Children’s Choir. 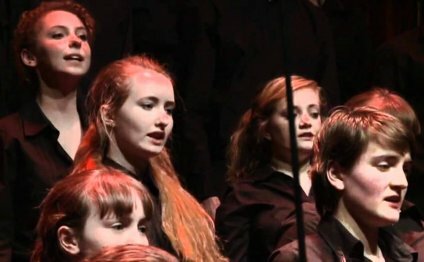 What is the National Youth Choir all about?